The expedition continues. Sugarcane and spice. I’m determined to cook with all my fruit. 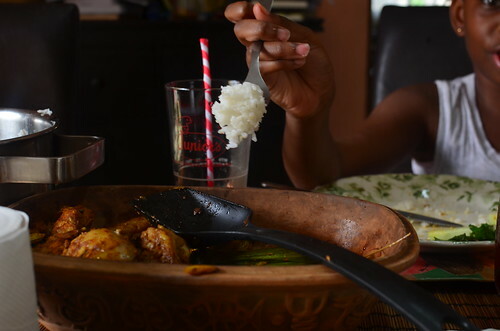 Not purely reserve them for out-of-hand eating, so when I had left-over sugarcane from my juice bar, I decided it would be absolute perfection to use up my rock salt- legally obtained from a salt factory in Port Harcourt many moons ago. 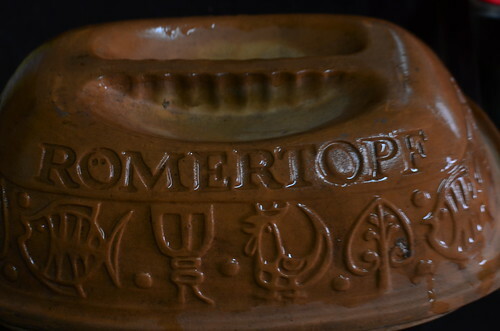 To enjoy my Romertopf, the claypot cooker that has lain fallow on a shelf for too long. 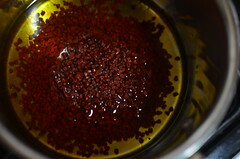 To revel in the deep hues of annatto oil, the seeds long mine but never touched. *Sigh*. 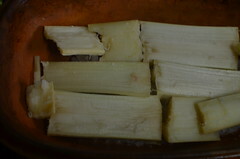 And of course cook with sugarcane. Enter Luke Nguyen. And Ga Nuong Lu. 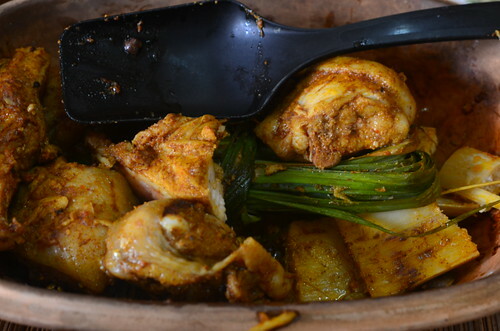 Whole Chicken, Dry Steamed in Sea Salt and Fresh Sugar Cane. 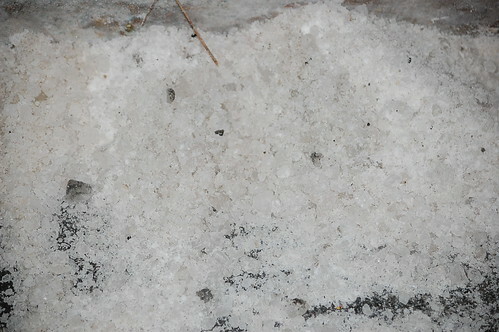 Common salt occurring in solid form as a mineral. Iodine deficiency is the world’s most prevalent, yet easily preventable, cause of brain damage. 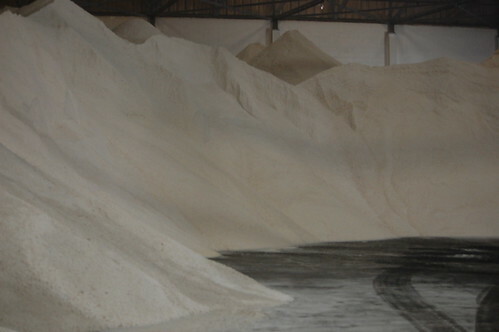 Iodized salt is a universally effective and cheap technical solution to addressing it. 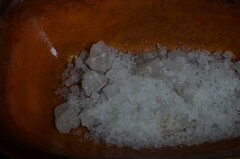 I have a cupboard full of salts, from smoked to Hawaiian, New Zealand flakes (Thanks Norma), Sel Gris from Guérande. I could go and on. Flavoured salts. 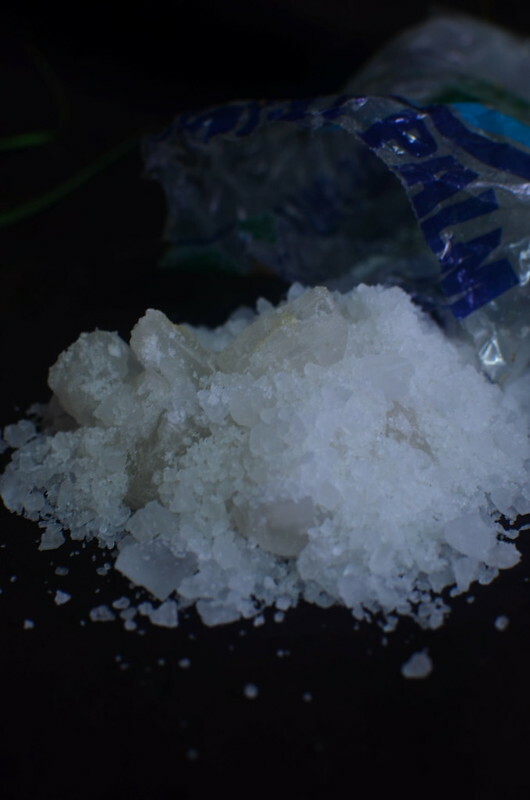 Regular table salt. Kosher….. But I’d never been to a salt factory. Before that day. Or salt lake. 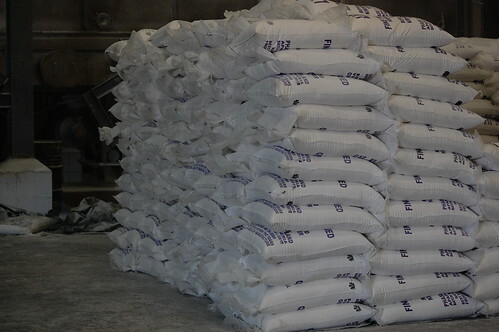 I didn’t know for instance that salt was imported into Nigeria and processed in the city I live in. Port Harcourt. 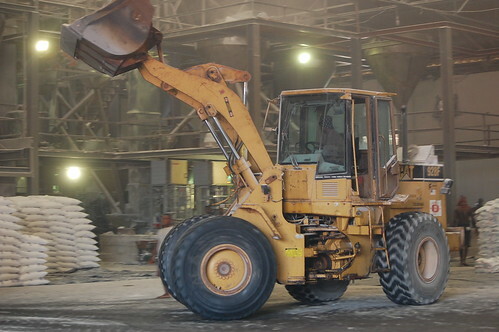 And that it required heavy machinery. One of my fave pics…can’t say why though! 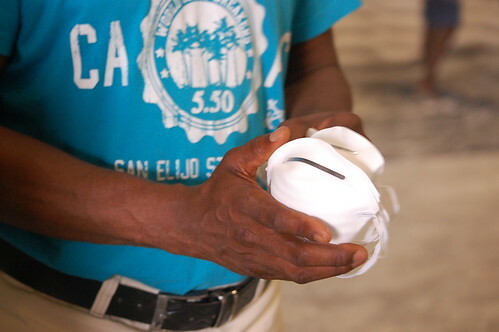 That the air is rife with small particles so nose masks are a necessity. That it starts out as rock salt. Not iodised. We got loads of iodised and a few people got rock salt. I was one of them. 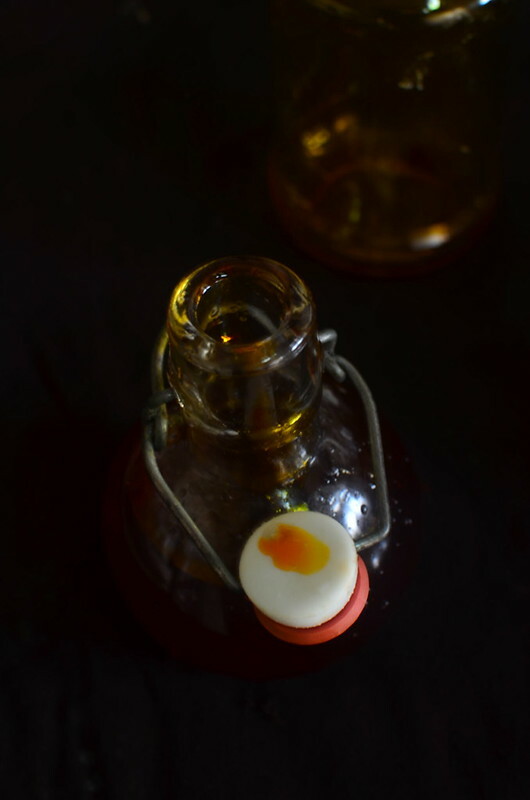 Which has turned out quite useful for me…..as the kids have ‘made ice-cream’ the old fashioned way. And I’ve had my day in the kitchen using it as a bed for some sugarcane. 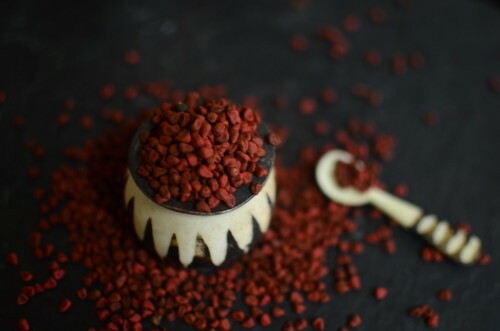 One thing that got me excited about Luke’s recipe was that I’d finally get to use my Achiote seeds. Achiote. Which I bought, as I do most food things… on a whim. With no fixed destination in mind. Definitely fruit, veg., herbs and spices before shoes. Any day. Achiote. Annatto. Component of Aztec chocolate. Learnt from a Barca chocolate museum. Seeds red and earthy and shaped like little pyramids with a pointed top and a broad, somewhat wounded base. 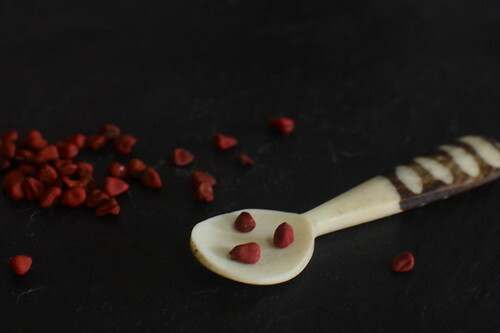 Seeds that taste like ‘clay’. Earthy. Slightly Tart. 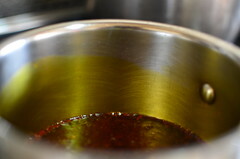 Poached in hot oil, it makes an oil so brightly coloured, it rivals palm oil. Though without the peculiar ‘palm oil’ taste! Can’t articulate that but I will some day. 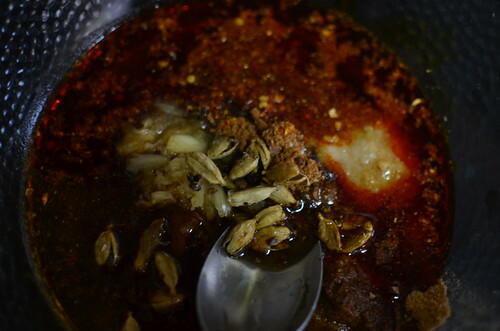 In a large mixing bowl, combine 5 spice powder, annatto oil, honey agave syrup, cooking wine, fish sauce and garlic. 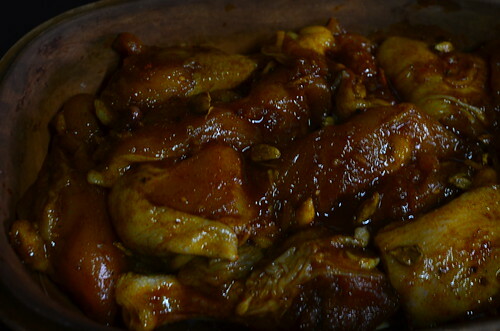 Mix well then coat the chicken and marinate for 2 hours or overnight for a better result. In a large clay pot, add the rock salt and lay the fresh sugar cane on top. 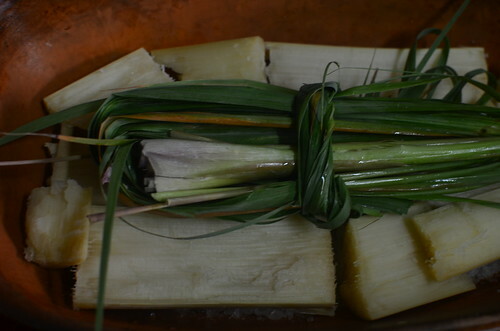 Add the lemongrass blades, knotted into a pretty bundle. Then place the chicken on top of the pile. Cover with a lid and cook on the middle rack/ in the centre of the oven on 180 deg C for 40 – 60 minutes or when the rock salt ceases to pop. 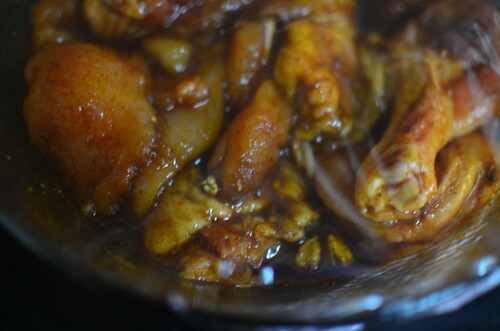 Transfer the chicken to a plate and serve…. 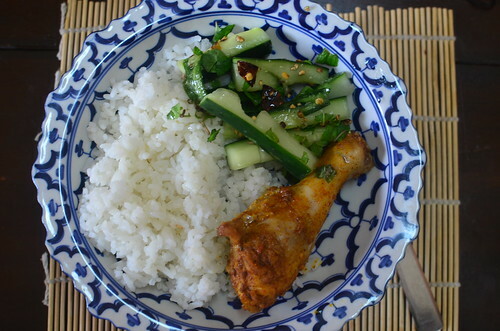 …with some Vietnamese Jasmine Rice and a side of lightly pickled & peppered cucumbers. A la Jeffrey Alford & Naomi Duguid. All round, from child 1 to 2 and 3, heads nodded. Mouths moved. Chicken was loved. And there was sufficient for lunch boxes the following day! The only thing we missed was a sauce for the rice. The sugar cane didn’t ‘add’ a single thing to the flavours. Its primary purpose was to provide a bed, and that it did. So please don’t look to it for taste! 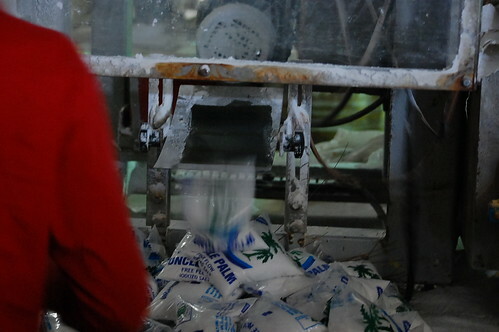 More sugar cane exploits coming up soon – a tale of sugar cane juice, 3 ways! The week is almost gone . *Wink and thank God for Wednesdays – they personally announce the start of my weekend!